‘Everything you do in life affects your music if you do music with passion. It's YOU in there, with everything good or bad inside’. Mauricio Barembuem (aka Barem) perfectly personifies the new breed of electronic musician who has grown up in the digital age, using intuitive software programs like Reason and Ableton to spontaneously express ideas and emotions. On-line distribution has also made it possible for them to reach out and connect with audiences across the globe, no matter where they are - Buenos Aires for example, where Barem grew up amid the hustle and bustle of a city on the edge. His teenage years were spent playing blues and rock guitar in bands but this always meant compromise. He longed for a purer form of self expression and eventually found it through electronic music, fascinated in particular by the way some DJs could impose their own personal vision onto the music they played, elevating it to an art form. It was exactly the inspiration he needed and Barem was soon experimenting with sampled loops and buying records (7th City, Spectral, Perlon and of course Minus). However, becoming a techno producer/DJ in Buenos Aires was easier said than done with gigs were few and far between. He was close to quitting a few times but found the right people at the right time and the solid advice they gave kept him motivated and focussed on his goal. It was to be a defining moment and from that point on his induction into the scene was fast and frenetic. He released the Kleine EP on the free net label Unfoundsound in July 2005 with the track Suki grabbing the attention of many prominent DJs, before graduating to Foundsound with his first vinyl EP - Campo Madness in May 2006. Meanwhile, his relationship with Minus was already taking root. Richie Hawtin encouraged him to submit some demos after hooking up in Buenos Aires, one of which – Opal, appeared on the Min2Max LP which kick-started a period of non-stop touring across the US and Europe as demand for his live performances grew. Two Minus releases then followed in quick succession. 2007 saw the release of his Never Better Than Late EP before 2008’s superb Kolimar EP signalled a distinctive evolution of his sound, adding organic, house inflected grooves to his repertoire. 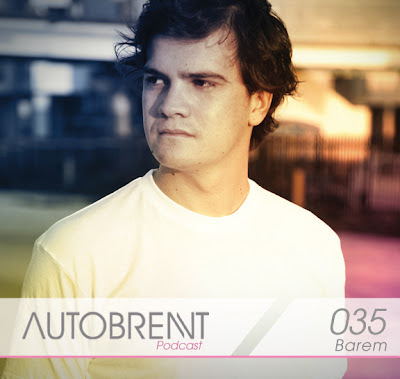 Listening to both EPs, it’s clear Barem concentrates most energy into creating the powerful bass lines that underpin his work. His expansive use of reverb and delay create space for subtle percussive elements to skip and snake while distant, sometimes eerie melodies occur on random, secondary levels as a result of these interacting elements. Which goes some way to explain his decision in 2008 to step back from performing live to once again concentrate on DJing, infusing his sets with warm, Latin rhythms as he blends his favourite tunes from a cross section of electronic genres past and present. His sets have graced some of the biggest events around – the Detroit Music Festival, Timewarp, Miami, Ibiza, ADE...not to mention 2009’s Contakt special at Brixton Academy and the Minus North American bus tour.